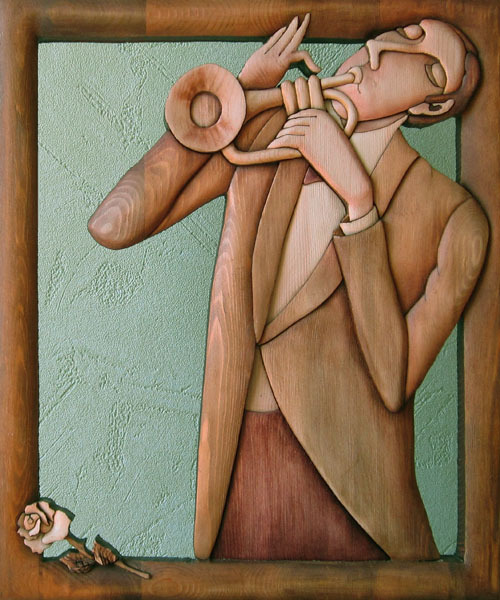 Decorative wood art by Anatoly Obelets. WINDOW (first snow). 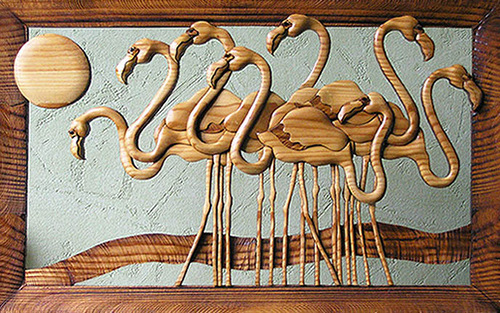 The work is done in the technique of marquetry, material – a monolith pine. 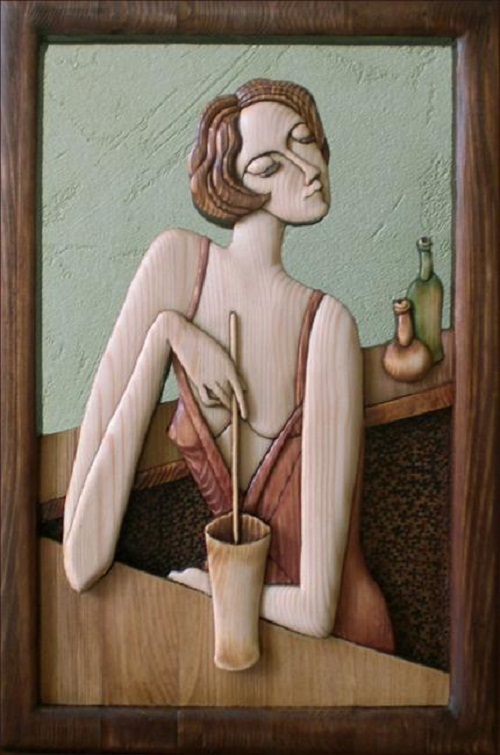 Ukrainian artist Anatoly Obelets was born in May 1960, in the German Leipzig (his father was a military). 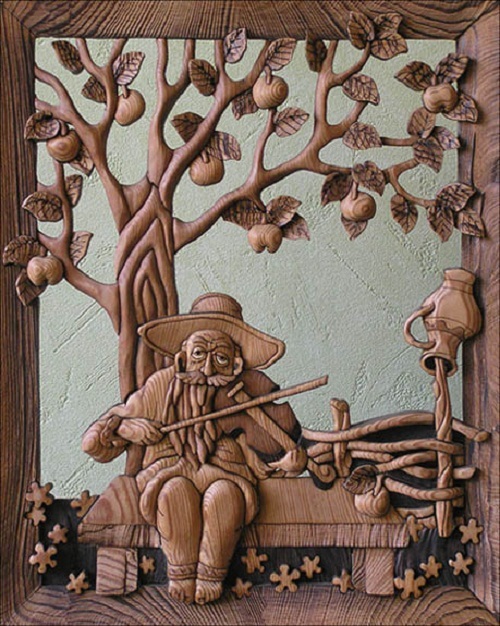 Among Anatoly’s many serious hobbies are military history, the search operation in the wake of World War II hostilities, regional studies, journalism, but passion for wood carving was favorite. Technique – slotted bulk mosaic. 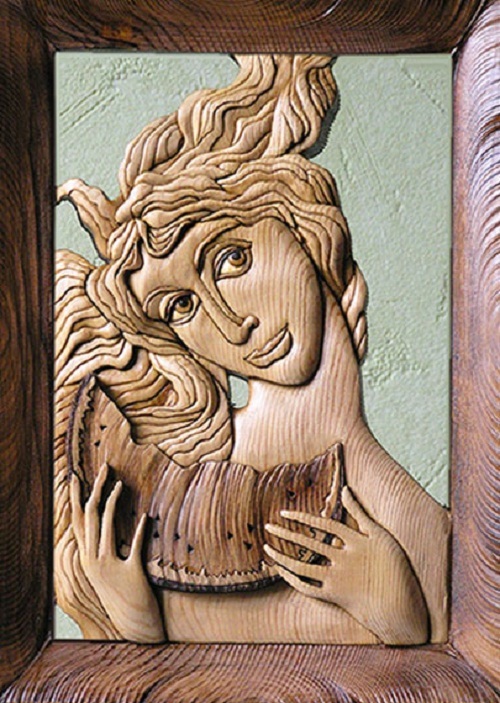 Preference is given to not not quite traditional classical wood carving – pine and larch. 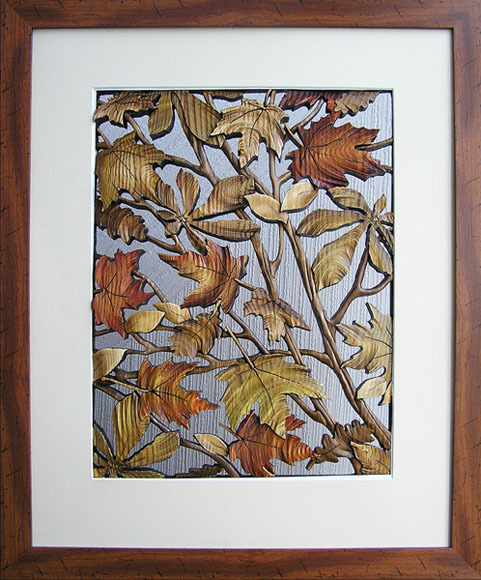 “Autumn Leaves”. 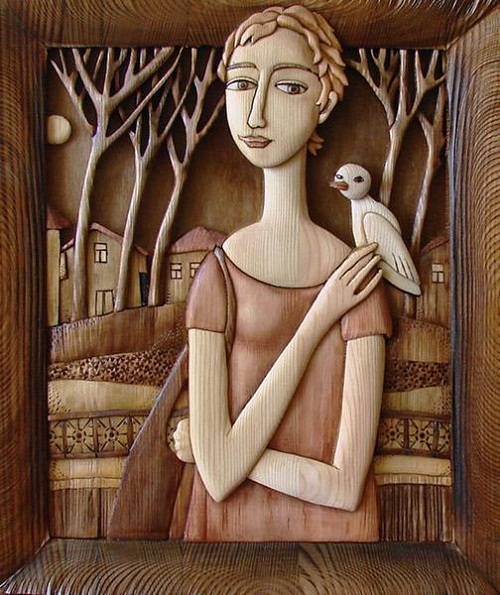 The work is made of solid pine boards. as through the grille .. technique of author – slotted volume mosaic. 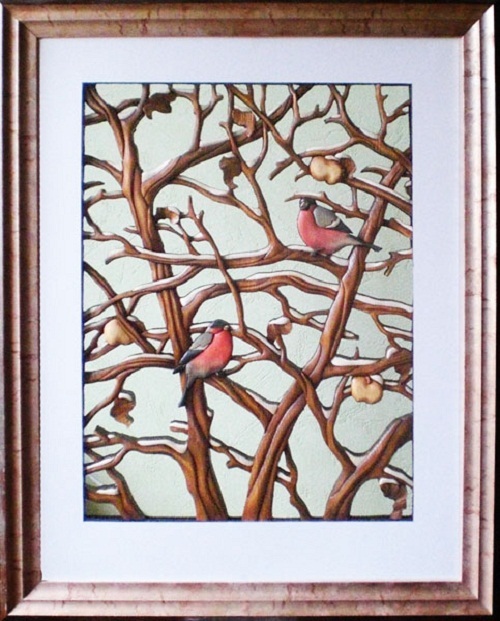 “December” (Bullfinches). 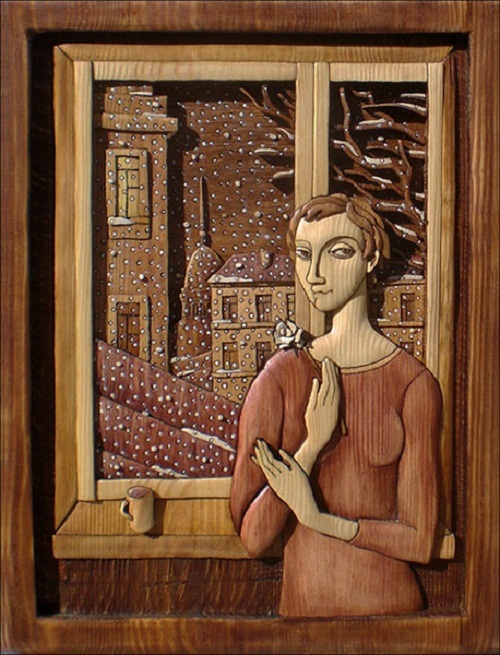 The work is made of solid pine boards angora thickness of 20 mm in the author’s technique – obelets-intarsia. This is slotted bulk mosaic. Work as a kind of “grid”,room wall (background) visible. “Jesus, knowing that the Father had given all things into his hands, and that he had come from God and was going to God, rose from supper and took off his outer clothing, and wrapped a towel, girded. 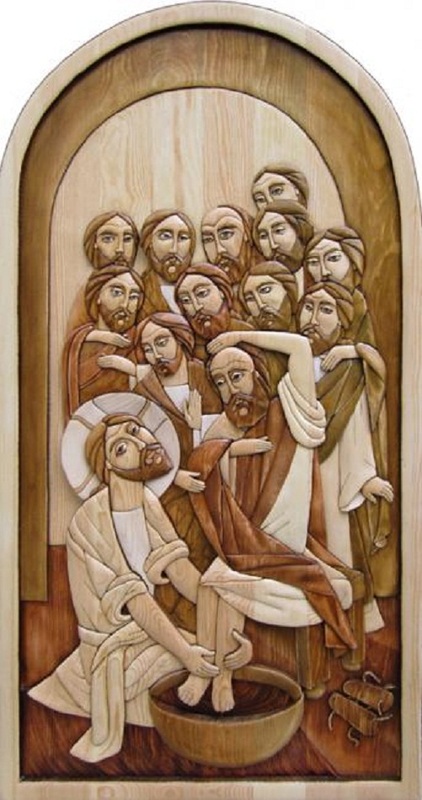 Then he poured water into a basin and began to wash the disciples’ feet and to wipe them with the towel that was wrapped around him …. “The Gospel of John. 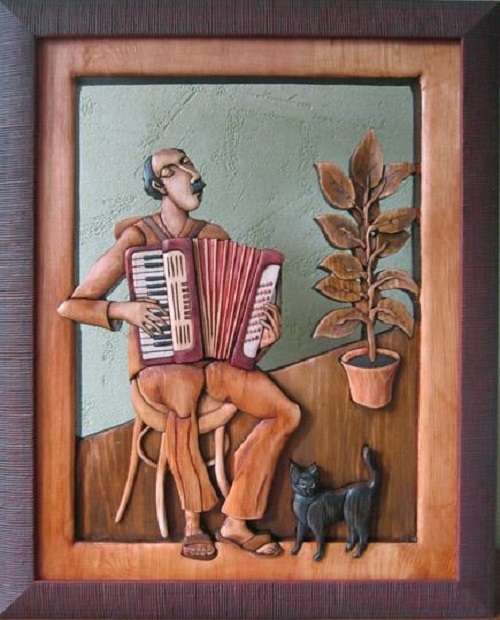 Works from the series “Musicians”, made ​​in the author’s technique “obelets-intarsia.” .. slotted bulk mosaic. 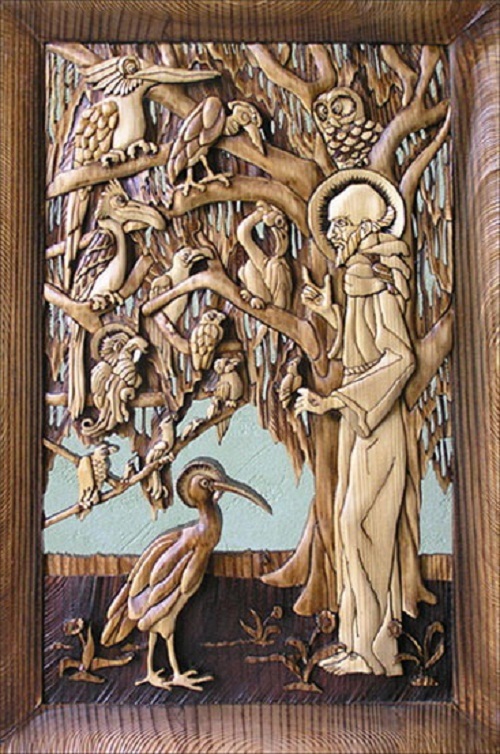 “Saint Francis preaching to birds”. 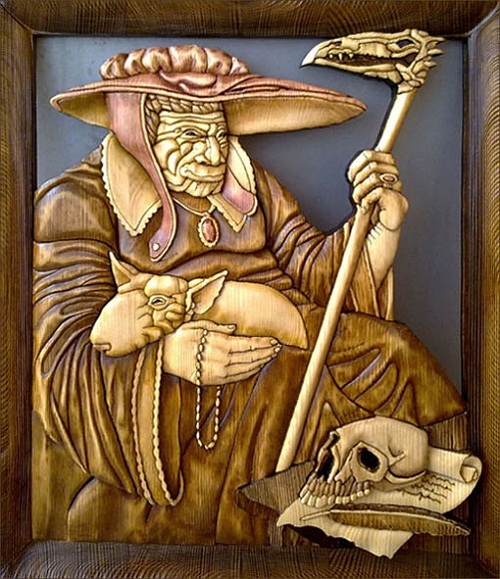 “Saint Francis” – a replica of genius Escher. 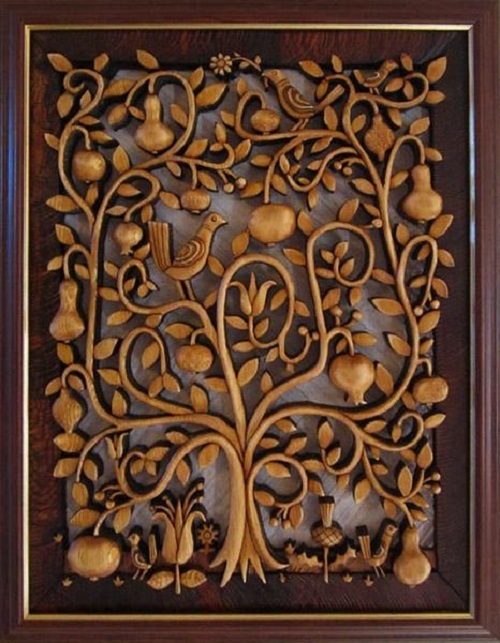 Work performed in the author’s technique – volume slotted mosaic monolithic pine boards. 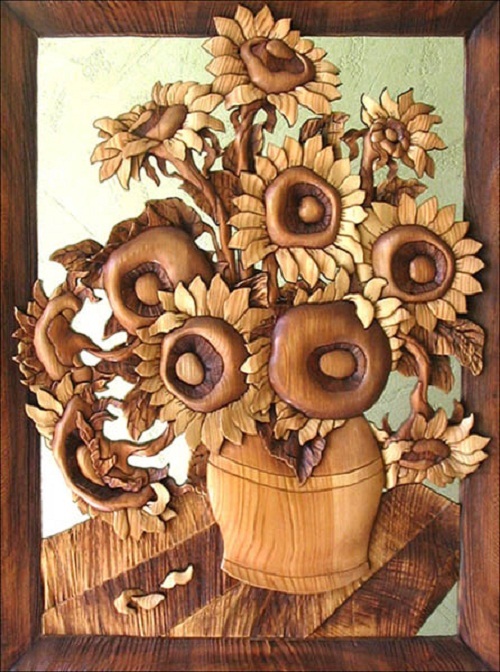 “Sunflowers”. 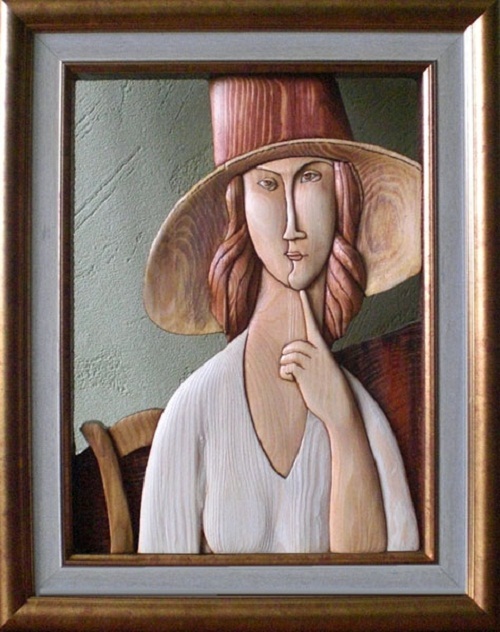 Second name – “With love to Van Gogh art” Picture is made from solid pine boards. 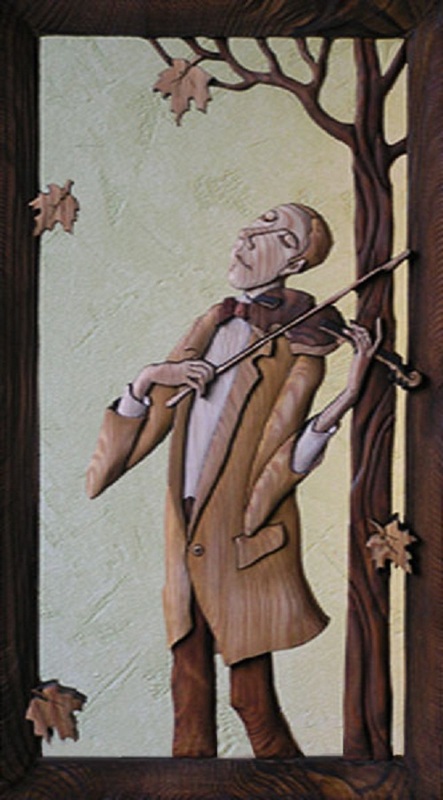 Violinist. Work performed in the author’s technique – slotted bulk mosaic. 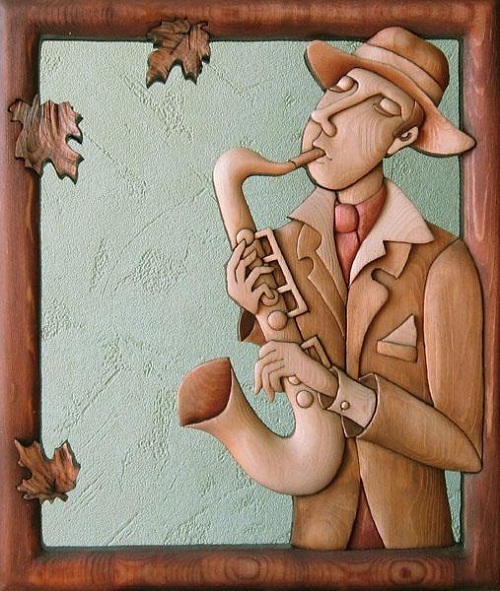 Material – board of larch.